Carlisle, PA (October 4, 2018) – On Wednesday, September 26, 2018, Tom Ceponis, President of Howard Hanna Pennsylvania and Jo Anne Freidly, Vice President and Regional Manager Central Pennsylvania, announced that Christian Boegel has been named Sales Director of the Carlisle office located at 163 North Hanover Street. Originally from Nesconset, NY, Boegel attended the University of Maine. He has made Carlisle his home for the past ten years and was a successful Sales Associate in the Hanna Carlisle office. Believing strongly in community involvement, he serves as a member of the board of directors of the Carlisle Young Professionals, and volunteers with several other non-profit organizations in the area. 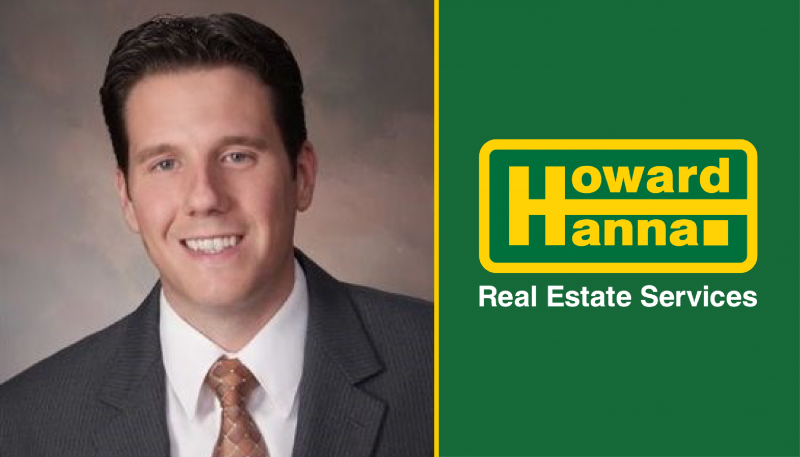 Christian Boegel can be reached in the Howard Hanna Carlisle office at 717-243-1000 or 717-422-0062 or at christianboegel@howardhanna.com. Howard Hanna Real Estate Services is the third largest real estate company in the United States, the #1 privately owned broker in the nation, and the largest home seller in Pennsylvania, Ohio, and New York. In addition to the Carlisle office, Howard Hanna has local offices in Camp Hill, Harrisburg, Hershey, Lancaster, Shrewsbury and York. The family-owned and operated real estate company specializes in residential and commercial brokerage service, mortgages, closing and title insurance, land development, appraisal services, insurance services, corporate relocation, and property management. With 279 offices across PA, OH, NY, VA, MI, WV, NC, and MD, more than 9,200 sales associates and staff are guided by a spirit of integrity in all aspects of the real estate process.